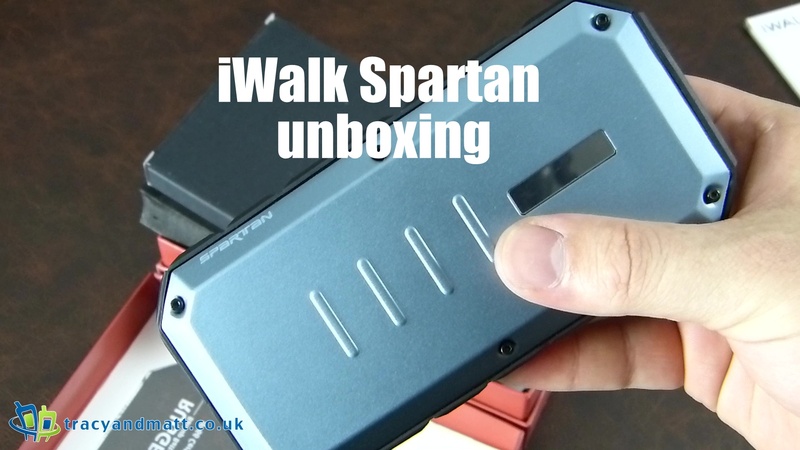 An extra tough backup battery for all your charging needs arrives in the shape of the iWalk Spartan. The iWALK Spartan is perfect for charging your devices while outdoors – Camping, Shows, Markets, Festivals ect. The 13,000mAh battery can keep your phone charged for days (even up to a week on some devices) 13000mAh Mega High capacity Lithium-ion rechargeable battery Made for all USB Devices including Apple (Certified – ‘Made for iPhone’) Rugged and durable build makes the Spartan waterprrof, shock proof, dust proof and snow proof – IP66 5v/1.0A and 5v/2.4A dual USB Outputs Rapid Charge with a maximum 2.1A input current. Pass-through charging so you can charge the Spartan and two devices simultaneously. You can pick one up for £69.99 here.